The target of much current research, the neural crest is a transitory tissue of the vertebrate embryo that gives rise to many diverse structures in the adult organism, including the autonomic nervous system, the enteric nervous system, and most primary sensory ganglia, among other cell types and tissues. Reflecting recent investigations, Neurotrophins and the Neural Crest is dedicated to the roles neurotrophins play in neural crest cell differentiation and in the survival of neural crest derivatives. This timely book correlates in vitro data with results obtained from knock-out mice with targeted neurotrophin or receptor deletions, with the goal of determining the fidelity and usefulness of various experimental culture systems. It also covers embryonic expression patterns and functions of neurotrophins and their receptors. 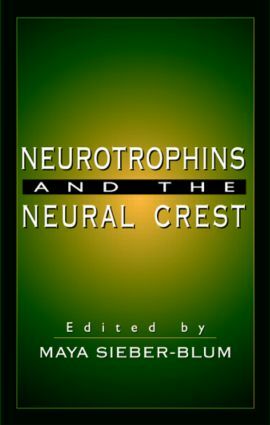 Chapters are organized to begin with neural crest-derived tissues as sources for experimental material, including sensory neurons, sympathetic neurons, enteric neurons, melanocytes, and calcitonin-producing cells from the thyroid, and concludes with discussions of the neural crest cells. A broad range of researchers and scientists involved in growth factors, neuroscience, developmental and cell biology, embryology, and many other fields, will find that Neurotrophins and the Neural Crest targets this fast-moving area of research completely and concisely.